Oxford, Maine -- Bubba Pollard showed New England race fans that the reputation preceding him to the 45th Annual Clark's Scrap Metal Oxford 250 was much more than hype, winning the biggest one-day short track Super Late Model race in his first attempt Sunday at Oxford Plains Speedway. Pollard, from Senoia, Georgia, got his first look at the Speedway on Friday. 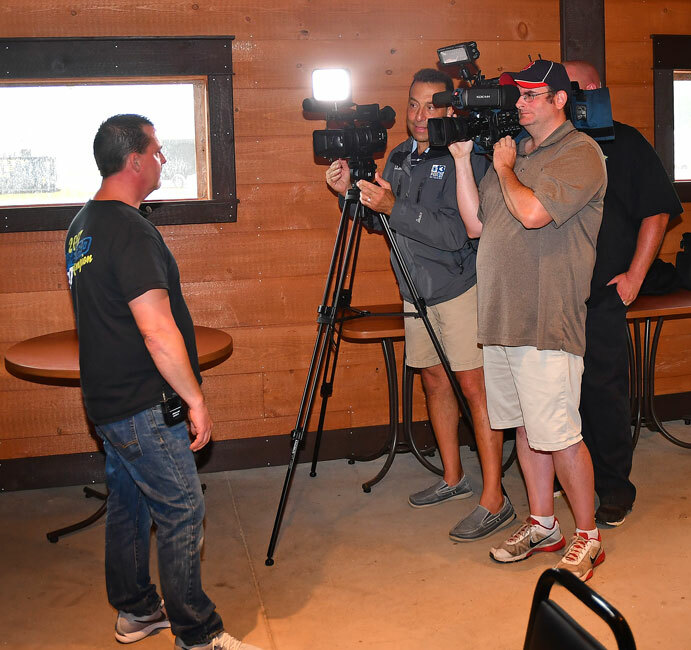 The definition of a true Super Late Model racing outlaw, Pollard, 31, convinced New England race fans that he's clearly among the best short track racers in North America, conquering the unique Oxford Plains Speedway racetrack in his first attempt. Pollard took the lead away from Travis Benjamin of Belfast, a two-time Oxford 250 champion in his own right, then outran another former 250 champion, Joey Polewarczyk, Jr. of Hudson, New Hampshire to the checkered flag. Reid Lanpher of Manchester made a late charge into third position during the closing laps. Scarborough's Garrett Hall ended up in fourth place after dominating more than half the race from his pole starting position, earning some $20,00-plus with lap leader bonuses included. 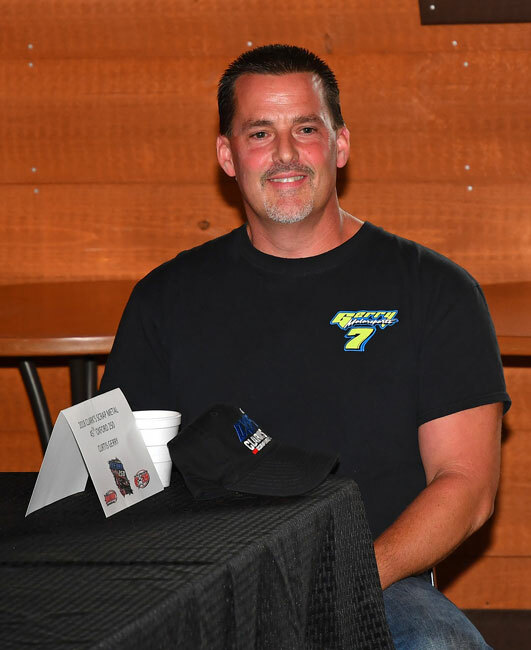 Berwick's Joey Doiron, a former PASS Super Late Model National Champion, rounded out the top five. Pollard overcame a bad draw - he started dead last in the final of five heat races - and needed to run a second-round 20-lap qualifying race to earn 29th starting position in the 42-car starting field. 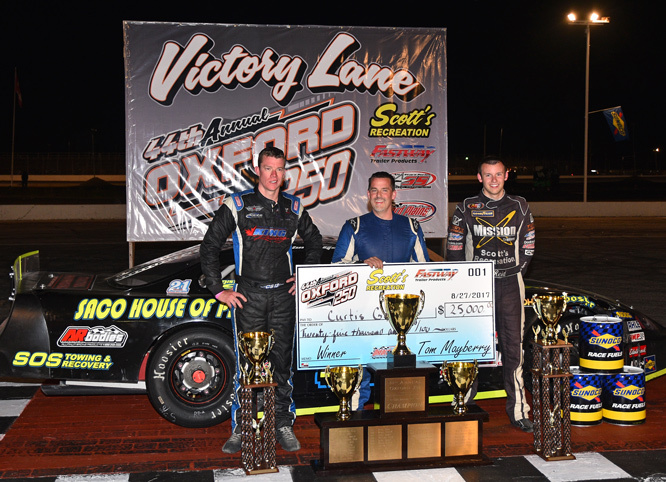 Dealing with a field of unfamiliar foes in a race with traffic rivaled by few, if any, big Super Late Model races, Pollard made all of the right moves as he methodically moved into contention for the win. A racer's racer, Pollard was impressive from the drop of the green flag, working his way into the top five during the long green flag stretch that opened the 250. 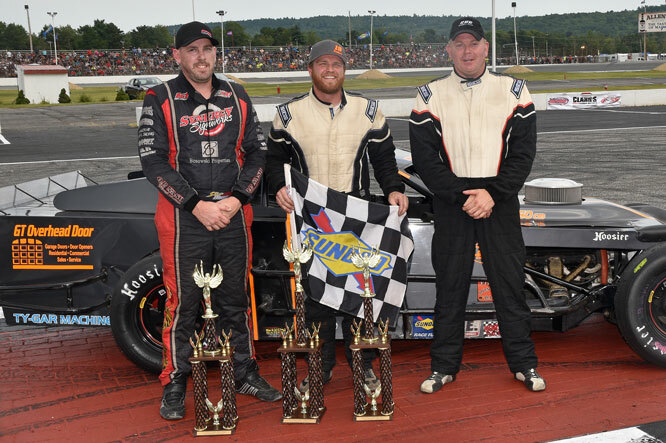 Seemingly making all of the right moves in traffic as the Super Late Models frequently raced three-wide, the appreciative Maine crowd soon realized the third-generation Peach State racer was going to be a contender to pick up the big check at the end of the annual Maine classic. Doiron, an infrequent competitor on the region's top Super Late Model circuit this season, rounded out the top-five. 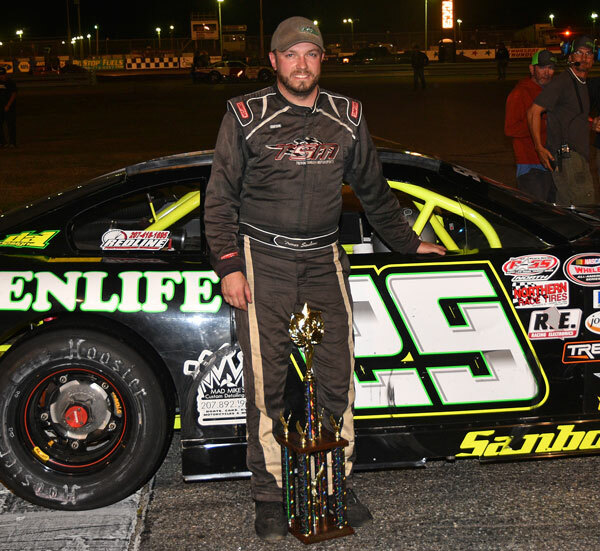 Current Pro All Stars Series North championship points leader DJ Shaw of Center Conway, New Hampshire was sixth under the checkered flag, one spot better than his closest rival in the standings, Benjamin. 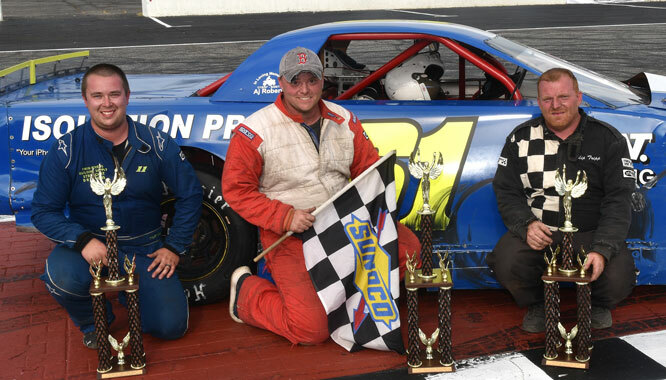 Ben Tinker of New Gloucester padded his advantage atop the championship points standings in the PASS Mods ranks, winning his fifth 40-lap feature race of the year in an eventful race. Bruce Helmuth of Wales was the runner-up, followed by Milford, New Hampshire's Steve Dickey, Jr. 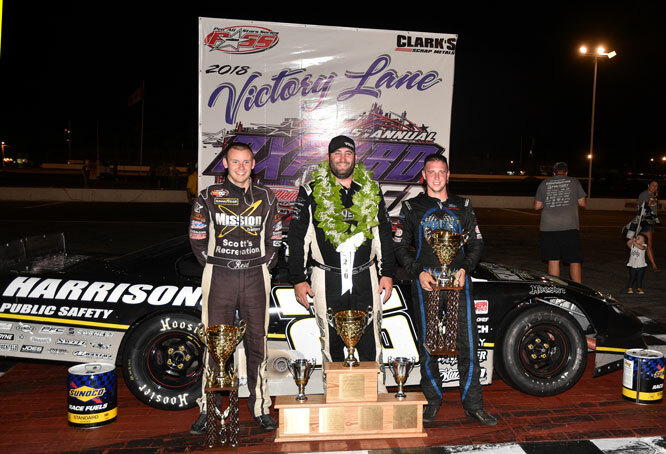 The three podium finishers were also in those same spots at last year's Oxford 250 program. Zach Audet of Norridgewock surprised virtually no one with his victory in the North East Mini Stock Tour's 50-lap race. Audet, the king of four-cylinder racing in Central Maine and beyond, outran Kodi Sabens of Windsor, Vermont to the checkered flag. Jimmy Childs of Leeds, survived several days of practice and a crash earlier in the afternoon to claim the third-place trophy. Michael Viens of Seekonk, Massachusetts and Sidney's Matt Glidden rounded out the top five. Allen's Coffee Flavored Brandy Street Stock points leader Matt Dufault of Turner charged past Skip Tripp on the final lap to win the 30-lap main event for The Taste of Maine division, just barely edging the division's all-time wins leader at the finish line by .017-seconds, mere inches. 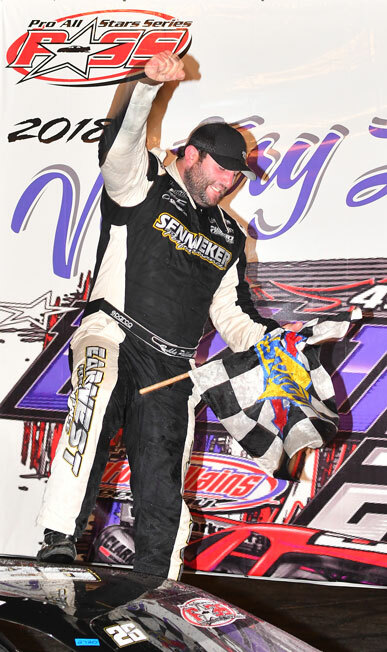 Tripp, hopping into John White's 12 car for the weekend, kept five-time winner and defending track champion Billy Childs, Jr., who had won on the previous night, at bay but couldn't keep Dufault out of victory lane before the healthy crowd. Championship contender Tyler King of Gray made a late charge into third position. Childs and fellow Leeds racer Kyle Hewins rounded out the top five. 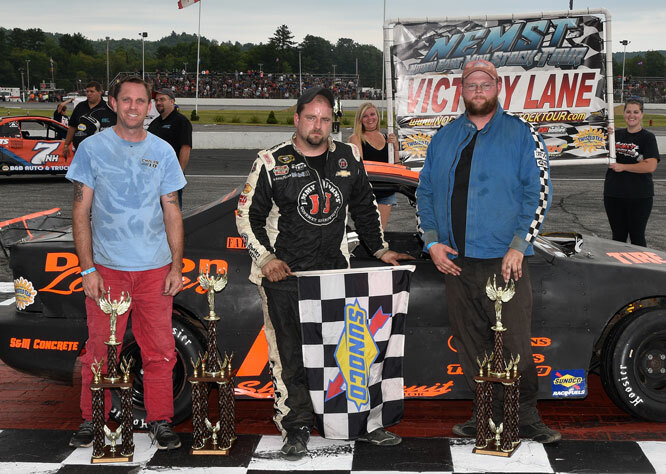 John Childs of Leeds cruised up the outside lane and into the lead, then outran all rivals to score his first-ever Oxford 250 Sunday win in the Rebel class. 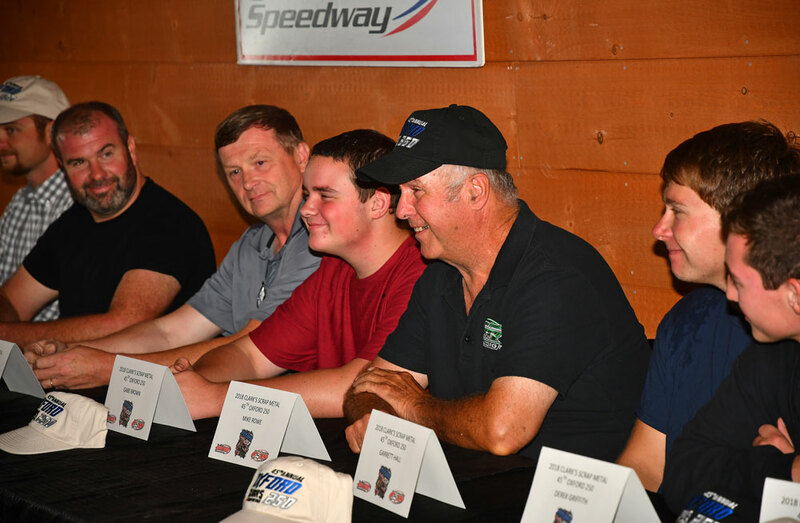 Travis Lovejoy of Waterboro was closest to Childs as the checkered flag wavedWaterford's Jamie Heath, Oxford's Gerard Cote and Rick Montminy from Auburn filled out the top-five rundown. The next Pro All Stars Series North Super Late Model race is scheduled for Saturday, September 15 at White Mountain Motorsports Park in North Woodstock, New Hampshire. Next on the Oxford Plains Speedway is Motor Mayhem 4, featuring the Oxford Acceleration Series divisions along with an endure race and other interesting motorized entertainment. Championship Day and Night for all weekly Oxford Plains Speedway Budweiser Championship Series and Oxford Acceleration Series divisions is scheduled for Saturday, September 8 at 4:00 p.m. Oxford Plains Speedway is located on State Route 26 at 877 Main Street in Oxford, Maine. For more information visit proallstarsseries.com, oxfordplains.com or call (207) 539-8865. The Pro All Stars Series is recognized as North America's premier sanctioning body for asphalt Super Late Models and boasts such marquee events as the legendary Oxford 250 at Oxford Plains Speedway, the Easter Bunny 150 at historic Hickory Motor Speedway, and the PASS Commonwealth Classic at Richmond Raceway. For media or marketing questions, please contact Alan Dietz at 704-231-2039 or alandietzpass@live.com. Clark's Scrap Metal has four location's in Maine including Hallowell, Chelsea, Monteville, and Jay. 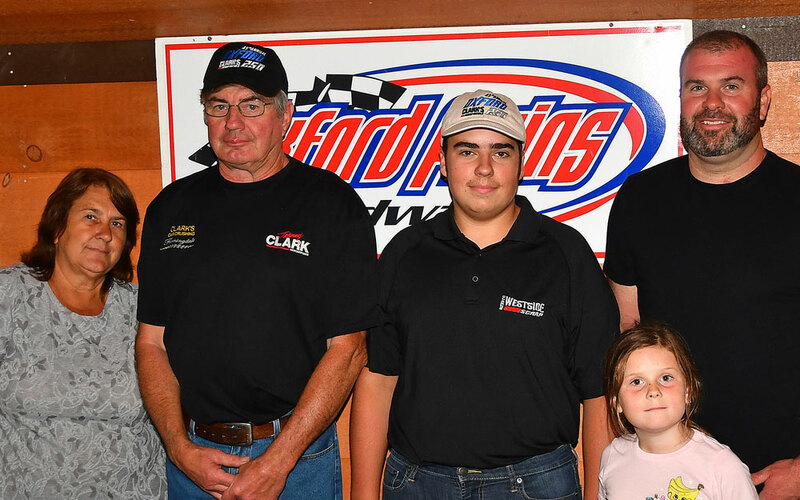 Clark's Scrap Metals and the Clark Family have been long time supporters of stock car racing in Maine and have competed in the Pro All Stars Series since the series inception accumulating six PASS Championship along the way. 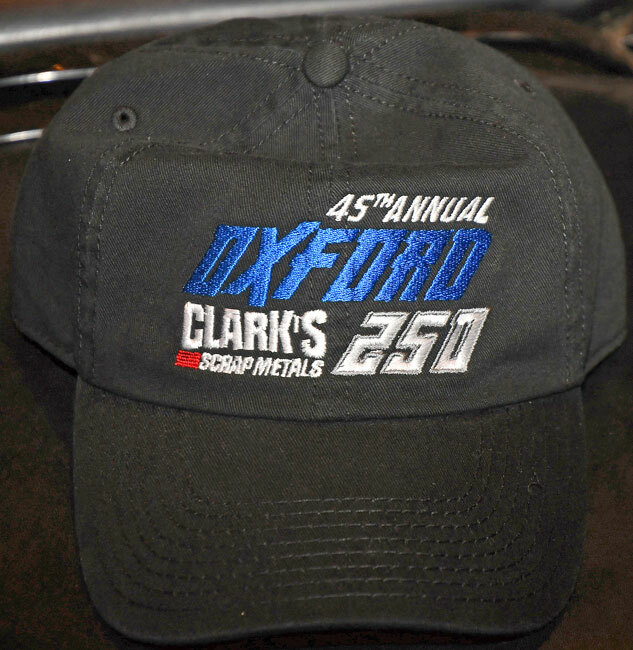 NAPLES, ME (August 16) - With campers already arriving on the grounds of Oxford Plains Speedway, the complete weekend schedule for the 45th Annual Clark's Scrap Metal Oxford 250 has now been posted. 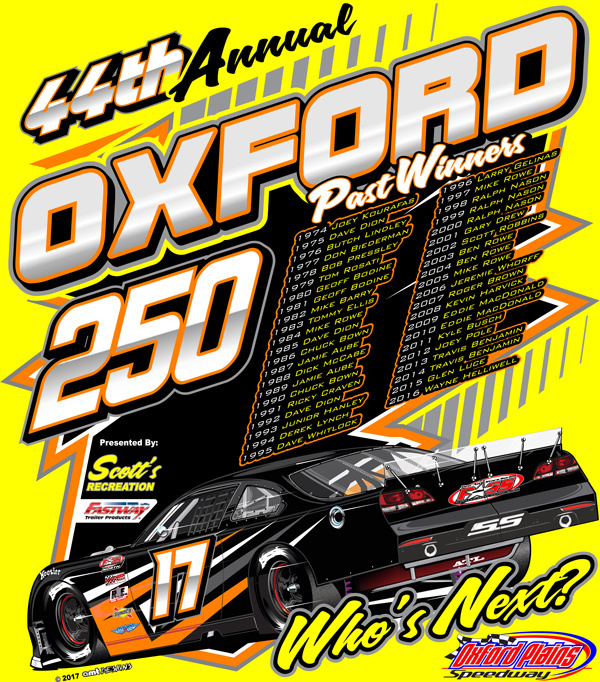 The Oxford 250 will go green on Sunday afternoon, August 26 with the ever important heat races to determine the starting lineup going green at 1:30 PM for the PASS Super Late Models, PASS Modifieds, Rebels, Street Stocks, and NEMST. 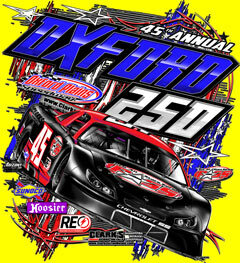 With the possibility of $50,000 going to the winner, the Oxford 250 is the biggest single day event in motorsports, with nearly 70 Pro All Stars Series (PASS) Super Late Models expected to compete in the qualifying heats and main event, and it is all held on Sunday, August 26. For media or marketing questions please contact Alan Dietz atalandietzpass@live.com or 704-231-2039. Be sure to "Like" the Pro All Stars Series on Facebook or follow us on Twitter at @PASSSLM14. NAPLES, ME (February 16) - Pro All Stars Series (PASS) President Tom Mayberry announced today the expansion of the newly named "Roads To Oxford And Richmond" program in 2018. Now in its fifth year, the groundbreaking "Roads To Oxford And Richmond" concept will expand to give racers across the continent the chance to compete in short track asphalt racing's biggest events. 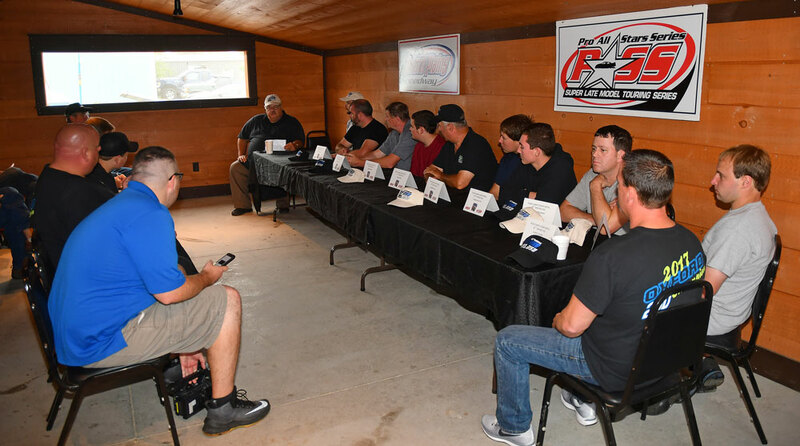 Competitors from both the United States and Canada will have the opportunity to race for guaranteed starting spots, while keeping focused on the 45th Annual Oxford 250 and the inaugural Commonwealth Classic at Richmond Raceway throughout the season. The 2017 Oxford 250 saw droves of race fans from across North America and over 60 Super Late Models make the trek to Oxford Plains Speedway in Maine, as the venerable race continues to be one of the biggest short track events in the world. And beginning this year, racers across several short track disciplines will have the opportunity to race at the Richmond Raceway in Virginia as part of the inaugural PASS Commonwealth Classic in October. 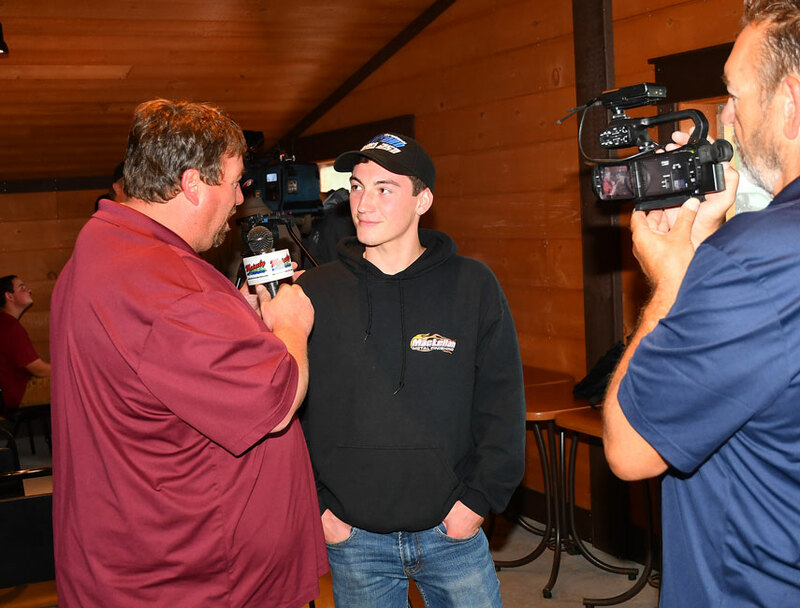 "The Oxford 250 is continuing the tradition as one of the premier events in all of short track racing and with the addition of Richmond, PASS racers will have the chance to compete in two of the biggest events in North America," said Mayberry. "The 'Roads To Oxford And Richmond' will be bigger than ever in 2018. We will be able to keep the 250 and Richmond in focus throughout the year and give competitors at several venues the chance to get locked in." 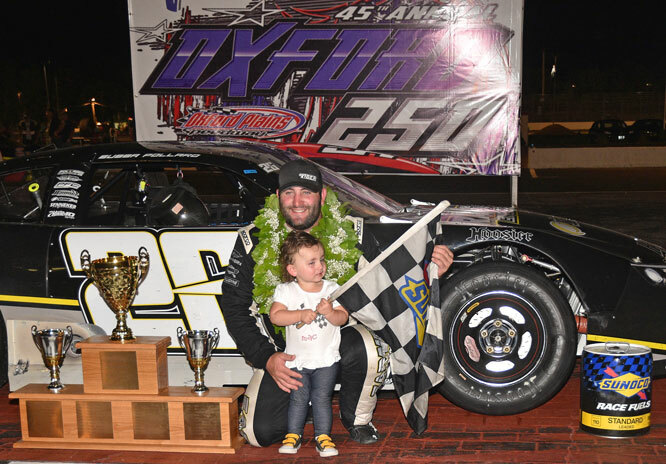 This year's program will see the winners of four select races in the United States and Canada get a guaranteed starting position at full start money for the Oxford 250 or at Richmond. The remaining top five finishers in each of these events will be guaranteed a starting position for the Oxford 250 or Richmond at half start money. 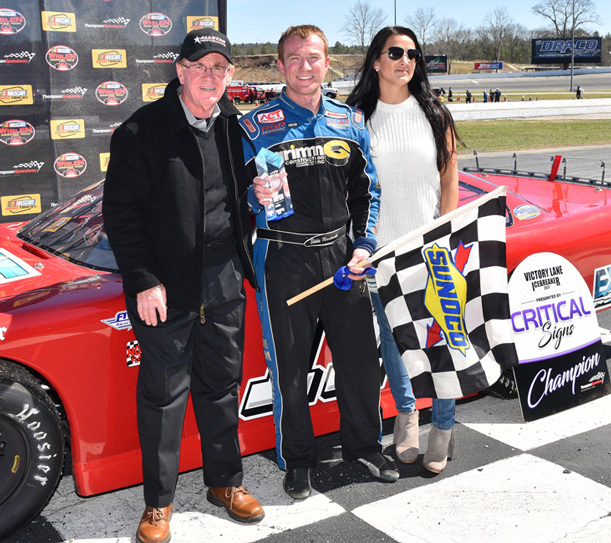 The first event to be featured will be the famed Easter Bunny 150 at North Carolina's Hickory Motor Speedway on March 31. 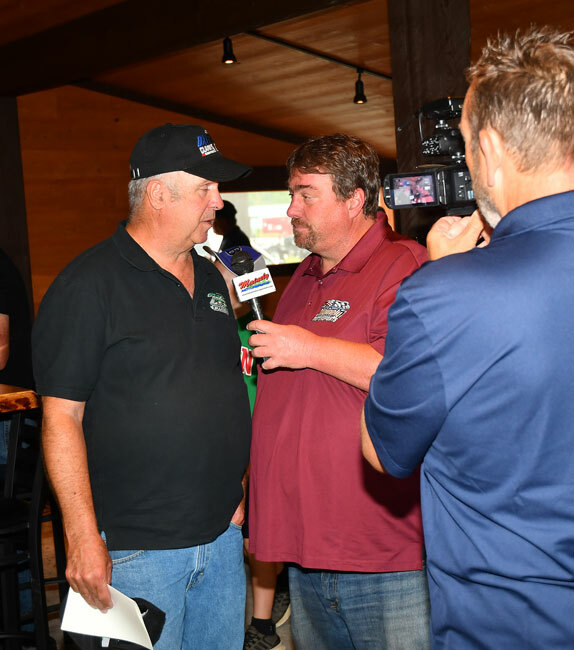 The "Roads" then continue to an international event in the Canadian province of New Brunswick, with the series' first trip to Petty International Raceway on June 2. Then, a special Tuesday night 200 lapper paying $5,000 to win on July 3, will be held at Spud Speedway in Caribou, ME. The final race as part of the "Roads To Oxford And Richmond" will be on Sunday, July 29 at Oxford Plains Speedway. Additionally, the top licensed drivers in points from PASS North, PASS South, and the PASS National Championship Series, will have provisionals available, if needed, as long as they have attempted to qualify for every race in their chosen series. All drivers that will have guaranteed spots through the "Roads To Oxford And Richmond" or via championship points provisionals have to compete in their heat races, qualifying, or in their consolation races, but will not have to compete in the last chances race if they have not already advanced. 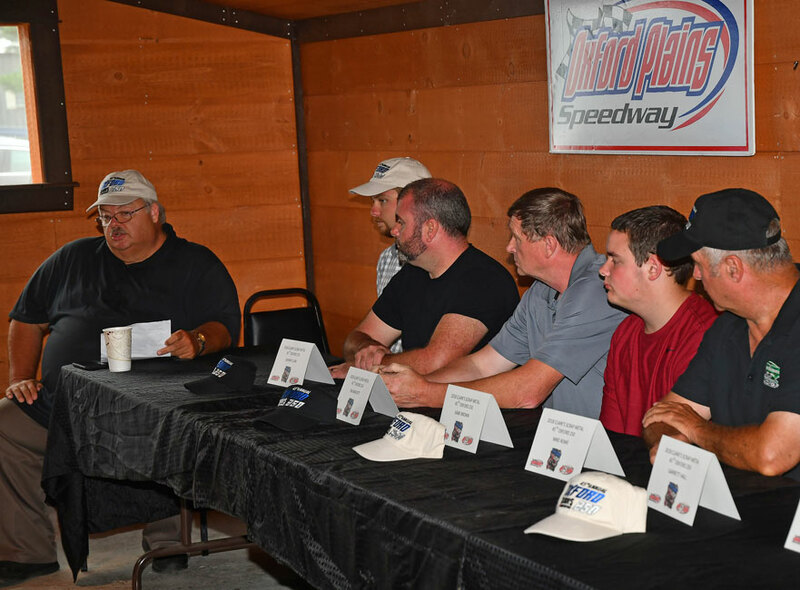 A full schedule of events and support divisions for the 45th Annual Oxford 250 at Oxford Plains Speedway and the inaugural PASS Commonwealth Classic at Richmond Raceway will be announced in the near future. We would like to thank the drivers and their teams for participating in the 2017 Oxford 250. Along with all of the support divisions, they put on a great weekend of racing for the fans. We’d like to thank the fans for coming and we hope you all had a great weekend and race experience at Oxford Plains Speedway. Also, thanks to the campers who were cooperative and considerate over the weekend. Many thanks to our dedicated staff for all of their hard work, not just over the weekend but working up to the big weekend getting everything ready for our guests. & REID LANPHER #59, 2nd. 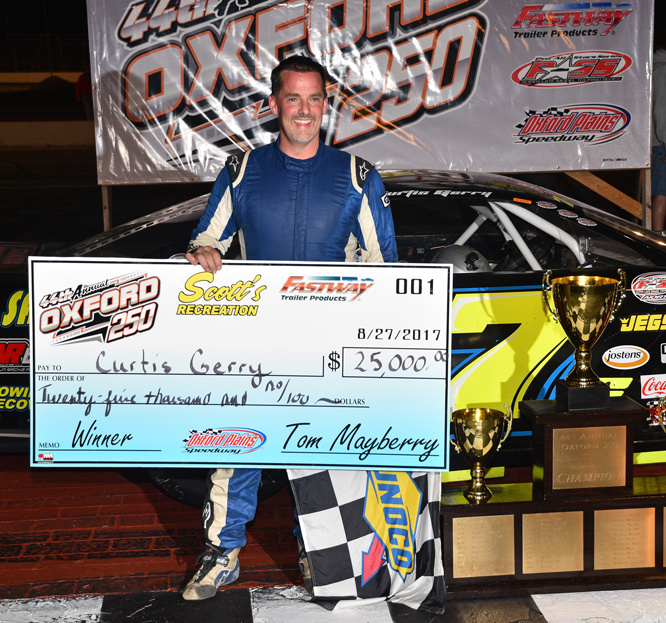 Oxford, ME -- Curtis Gerry of Waterboro dominated when go time came, scoring the biggest racing victory of his career Sunday in the 44th annual Oxford 250 at Maine's Oxford Plains Speedway. With lap leader bonuses included, Gerry's win should be worth over $35,000. Gerry, who lined up 21st on the starting grid, needed 123 laps to chase down early race leader Cassius Clark in Rollie MacDonald's 13. A round of pit stops saw Scott McDaniel earn some lap leader bonus cash for 26 laps before Gerry took command for good with just over 50 laps to go. Manchseter's Reid Lanpher made a late charge into second position, claiming runner-up honors for the second time in the Oxford 250. Cassius Clark flat-footed the King 13 to a third-place finish, making a five-figure lap leader bonus check to add to the trophy payoff. Eddie MacDonald blazed a difficult trail to his fourth-place finish after an apparent heat race victory was negated in post-race tech. 'The Outlaw' from Rowley, Massachusetts needed a provisional starting spot to get in the 250, and was 38th on the grid when the green flag waved to start the main event. Maine Racing Hall of Famer Mike Rowe of Turner, at age 67, raced to a top-five finish in the region's top full-bodied racing class, in their biggest event of the season. Starting 41st, the man who is by far the most prolific winner in the history of Oxford Plains Speedway, schooled a racer or two en route to the checkered flag.